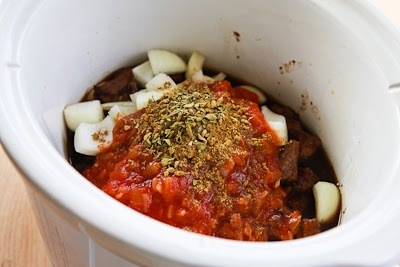 This Slow Cooker Southwestern Beef Stew with Tomatoes, Olives, and Chiles is low-carb and gluten-free and this can be perfect for anyone who’s eating Paleo if you skip the sour cream! 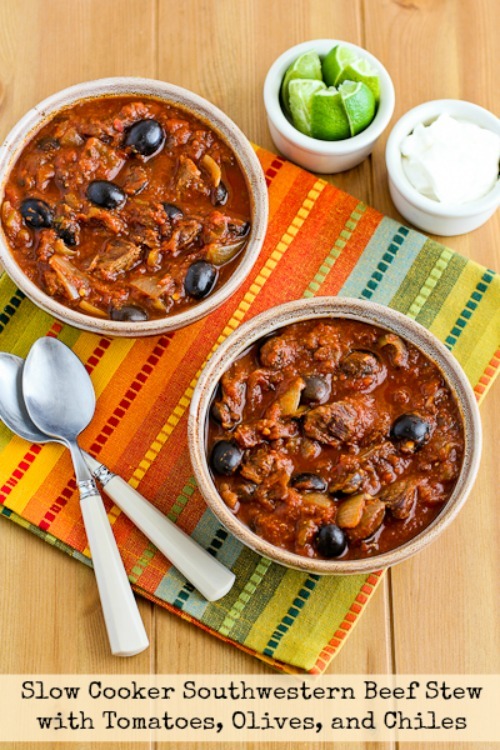 Click here to PIN Slow Cooker Southwestern Beef Stew with Tomatoes, Olives, and Chiles! Click for more Slow Cooker / Pressure Cooker Recipes on my other site! I have a couple of friends who’ve embraced the Paleo Diet, so I’ve been learning more about it. Happily, there’s a lot of overlap between my South Beach Diet way of eating and Paleo, so it’s not that much of a stretch for me to try to feature recipes occasionally that will work for my Paleo friends.What *can* be challenging is that everyone who does Paleo seems to have their own rules about what they can or can’t eat! That’s why when I added a way to sort recipes by diet type on the blog, I made a category called Can Be Paleo. 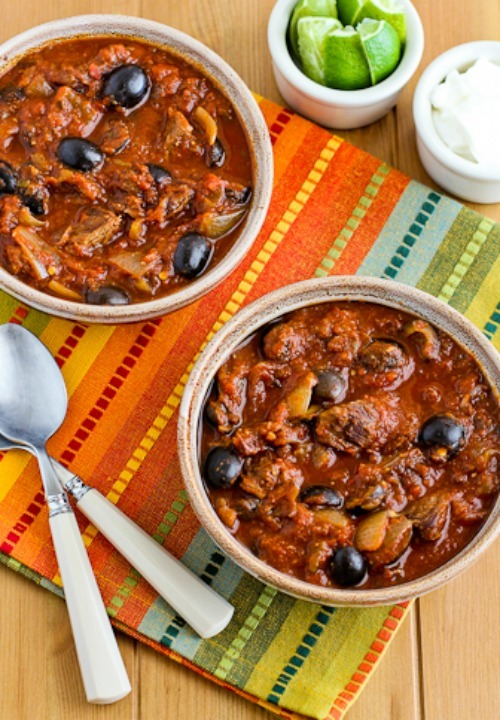 Under that tab you’ll find recipes that most Paleo eaters will be able to enjoy, like this Slow Cooker Southwestern Beef Stew with Tomatoes, Olives, and Chiles. And even if you’re not eating Paleo, I bet you’ll still like this a lot if you like Southwestern flavors! It did take me a couple of tries to get a version of this that I felt was blog-worthy, and this final recipe is one where you can cook the meat all day while you’re at work and then add the rest of the ingredients and finish the recipe when you get home, which I know is helpful for a lot of slow cooker fans. I ate this with a big dollop of sour cream, (which is definitely NOT Paleo), and it was delicious. 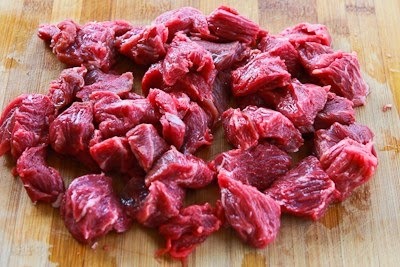 I started with a chuck roast, trimmed most of the fat, and cut it into cubes that were just over an inch. You’ll need 1 1/2 to 2 pounds of beef cubes. 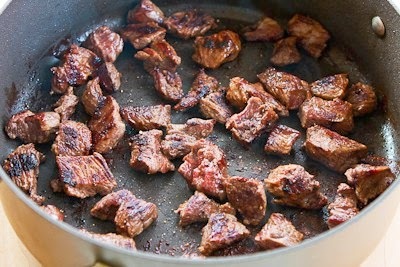 Heat a small amount of olive oil in a large frying pan and brown the beef well. Don’t rush this step; it takes about 10 minutes to get it all nicely browned. While the meat browns cut up an onion into 3/4 inch pieces. 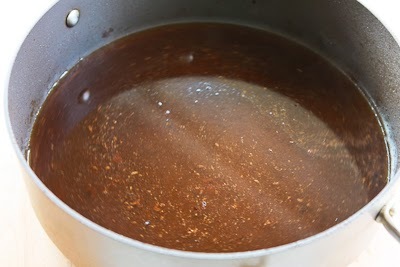 You want to reduce the beef broth or stock by half, or until you have 3/4 cup concentrated broth. When you get home you’ll have a lot of flavorful sauce and ultra tender cubes of meat. 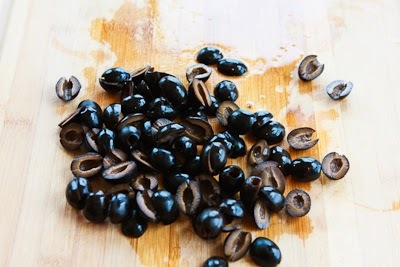 Drain a can of olives and cut them in half. 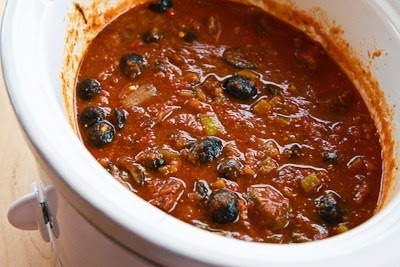 Add the olives to the slow cooker with the diced green chiles and crushed tomatoes and cook an hour or two on high. Serve hot, with pieces of lime to squeeze on at the table. 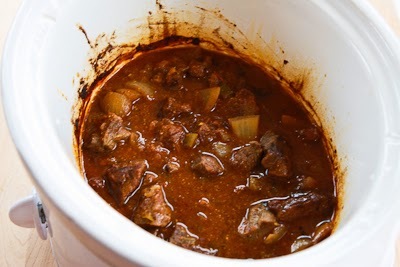 And I do recommend the sour cream and maybe some grated cheese on this Slow Cooker Southwestern Beef Stew if you’re not eating Paleo! I used my Crock-Pot 3-1/2-Quart Slow Cooker for this recipe, but it could have been slightly smaller. Trim the visible fat from the meat and cut into pieces just slightly over an inch across. (For South Beach Dieters, the guideline is less than 10% fat.) Heat the oil in a large heavy frying pan and brown the meat until all sides are nicely browned, about 10 minutes. Don’t rush this step because browning creates flavor in the finished dish. 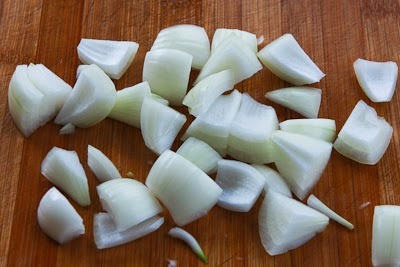 While the meat browns chop the onion into pieces about 3/4 inch across. When the meat is well-browned add it to the slow cooker and pour the beef broth into the frying pan. Turn the heat to high and simmer, scraping up the browned bits on the bottom of the pan, until the broth has reduced by half to 3/4 cup. This recipe would be a good choice for all phases of the South Beach Diet or any other type of low-glycemic eating plan. It’s also suitable for low-carb diets, and can be Paleo if you don’t use the sour cream. Made this today, so good! I thought I had all the ingredients but turned out I didn't have a can of diced chilies. Used salsa Verde instead of red salsa. Also added in a couple of cubed sweet potatoes. Yum! So glad you enjoyed it; love the sound of the changes you made. After you brown the meat, do you drain it before adding to the crockpot? Not sure what you mean, there is really no fat to drain off from the meat. I can't really give a recipe for stovetop cooking just off the cuff, since I've never made it that way. 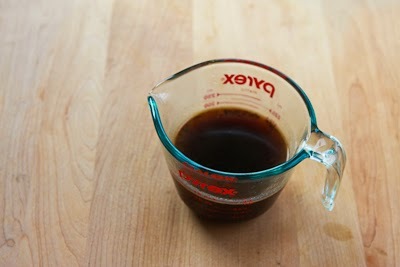 But in general you would use more liquid for cooking on the stove, and cook at the lowest simmer. I'd love to know what works if you try adapting it. How would I cook this on the stove and not in a crock pot? Tony, the Pace Picante Sauce I used has 24 carbs in the one cup of salsa. For a recipes that makes 4-6 servings, that doesn't seem extremely high in carbs for me since there is nothing else in the dish with any significant carbs, but of course you are welcome to use any ingredients you prefer. I religiously follow a low carb diet. The salsa is something I would stay away from in this recipe. 1 cup would amount to 16 – 20 carbs alone depending on the brand. I think you can accomplish the same flavor result by using a can of Rotel diced tomato w/chili's. That would cut the carbs in half compared to salsa. Otherwise it sounds very good. Doren, so glad you enjoyed it! I am so glad I told my good friend about your blog. We cook together often and both enjoy your food. She made this for my birthday last night and it was just delicious! I need to thank you as well as her. Happy New Year. Crystal that will work just fine for this recipe; hope you enjoy! I want to use my crockpot more but just don't have the time in the morning to prepare things the way they should. Can I do the browning and prep the night before and just pop it in and start cooking it the next morning? So glad you loved it as much as I did! Hi Kalyn, this recipe worked like a dream. My husband loved it , I served with the fresh squeezed lime, sour cream on top and warm sour dough bread. I will not change a thing…it had wonderful, full favors. Nicole, so glad you like the Paleo ideas. Can't wait to try this! I'm a former South Beacher who has converted to Paleo, so I love that your blog has evolved in this direction! Katie, so glad you like it. I had a wonderful no-bean chili a few weeks ago and I was so inspired. This looks even better, with the big chunks of meat. I love Pace picante too. One of the best on the shelf imo. Thanks Jeanette. I have to confess I'm kind of a freak for olives. I could eat them in everything, but they really did complement the other flavors in this! Kalyn – this looks like such a wonderfully hearty stew for the winter – I've never used black olives in stew, but sounds like a great idea. Sounds wonderful. I'm going to make this on a day when we can watch football all day and eat this for both lunch and dinner. This sounds right up my alley. I love southwestern flavors. Lydia, it could be as spicy as you like! Great idea to cook overnight too. What's not to love about this dish? I might even cook the beef overnight on a Friday or Saturday night, then finish the stew in the morning for lunch or dinner that day. And I might add a wee bit more hot chili — but that's just for me! Thanks for linking to one of my recipes, too.